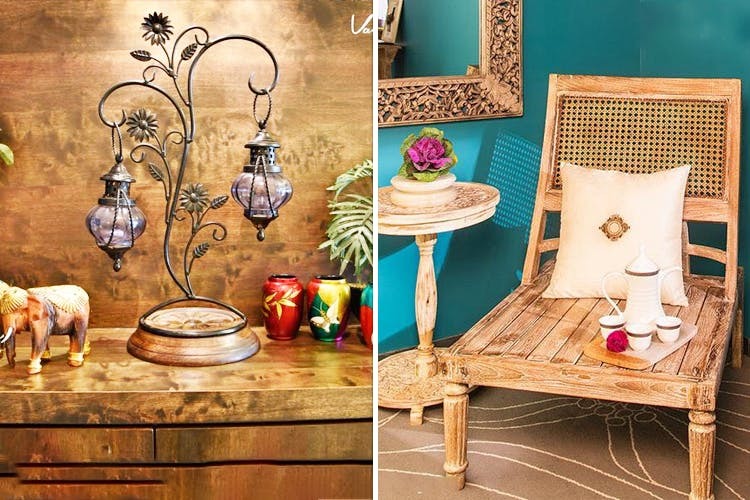 Vaishnavipratima is an interior studio based out of Mumbai’s Lower Parel that specializes in interior designing and makeover, furniture, arts and artifacts. The studio and store, named after its founder Vaishnavipratima Kodakalla, is a place for exclusive customised furniture made for Indian homes. A self-taught designer, Kodakalla started Vaishnavipratima started by taking interior designing assignments and then opening her first office in Powai. Then in 2016, she opened her own furniture store in Lower Parel and since then, there’s been no looking back. What’s interesting is that their products are uniquely personalised, stylish and yet functional. And apart from this, they also offer their services in case you’re looking out for an interior makeover for your home. Her products range from INR 399 to INR 72,000 – from art to artifacts, furniture to home décor, decorative mirrors, chest of drawers, bar furniture, coffee tables, seating and chairs, carpets, paintings, crockery and a lot more is what you can spend your money on here. The stuff’s affordable and Kodakalla has some great taste when it comes to home décor and furniture, so if you’re looking to change spaces at home, you know where to head to.